A red danger warning, the highest possible, has been issued by Spanish meteorological service Aemet for the region after a massive 200 litres of water per cubic metre fell in just 12 hours. 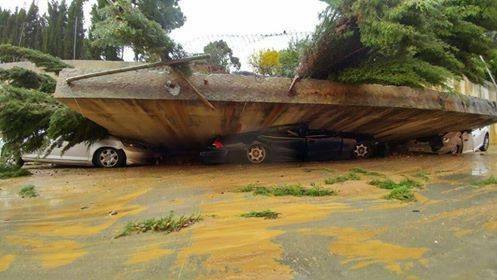 The freak weather prompted the Spanish government to issue a public safety warning. People have been forced to climb to their roofs in Mijas and Cartama, according to residents, in what local police are calling the worst rains since 1989. An amount equivalent to one month’s rain has fallen over the weekend. The rains have also washed rocks onto the roads and people have been forced to leave their homes and cars due to the floods. Over thousands of cars have been left behind.